What causes bad breath? Bad breath can be embarrassing! Why does it happen and how can I cure my bad breath? Here are some simple tips for curing bad breath (AKA halitosis). Fun Fact! Halitophobia (also known as delusional halitosis) is the fear of having halitosis (bad breath). People who have halitophobia often worry excessively about having bad breath. They may suffer from halitosis or not at all, but usually the bad breath they have is not as bad as they believe it is. Poor oral hygiene: Poor oral hygiene can be the leading cause of bad breath. Plaque buildup, and left over food particularly between your teeth as well as your tongue and gums, can produce unpleasant-smelling gases. Strong flavoured foods and drinks: like onions, garlic, coffee, can all be avoided. Eating strong flavoured food and drink is considered temporary halitosis. Make sure to floss and brush 15 minutes after eating. Full fat Yogurt is always a good neutralizer to bad breath. Dehydration: Are you drinking enough water? Daily recommended amount is 8 cups of water a day. Dehydration means less salivary flow which will decrease the chances of any movement of food between teeth. The decrease effect of salivary flow from the glands is called xerostomia and can be linked to increased decay rate of teeth. Smoking: Smoking is another cause of bad breath. As well as making your breath smell, smoking stains your teeth, irritates your gums, and reduces your sense of taste and smell. Dieting: Dieting, fasting, and low-carbohydrate diets are another possible cause of bad breath. They cause the body to break down fat, which produces chemicals called ketones that can be smelled on your breath. Some gastro-esophageal issues can also be linked to bad breath. Ideally, try to take a probiotic. Medication: Some types of medication can also cause bad breath. These include: nitrates which can sometimes be used to treat angina, (chest pain due to restriction of blood supply to the heart), some chemotherapymedication, and some sleep medication. So what’s the Answer? Make sure to come in for routine cleanings to get rid of hardened plaque, flossing and brushing regularly (including your tongue), and if you have any questions our hygienist can help you learn about the proper ways to clean your teeth. What can I do at home? Floss and brush 15 minutes after meals, drink 8 cups of water a day, kick the bad habits, eat healthy well rounded meals, take a probiotic, and if you suspect it may be medicinally related contact your GP to suggest an alternative. 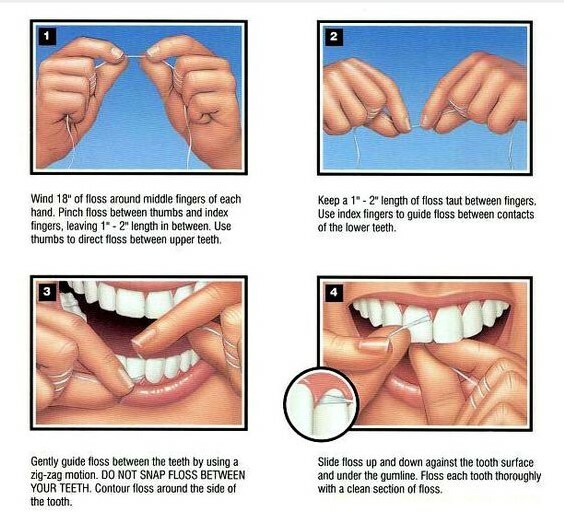 Previous Post:8 Unusual Ways to Remember to Floss! needed. I most undoubtedly will make sure to do not disregard this website and provides it a glance on a relentless basis. Thanks for your fantastic blog. It was very useful. I am so happy to discover this. Amazing website, how do u find all this information?I have read a couple of articles on your website and I really like your writing style. Thanks a million, keep up the good work. Nice post, i like it very much. I was really lucky to discover your site. There’s a lot of helpful info!